An executive’s dream, Wildflower is the ultimate escape in your own back yard. Stately custom homes surround the manicured greens of this hill country golf course and country club. 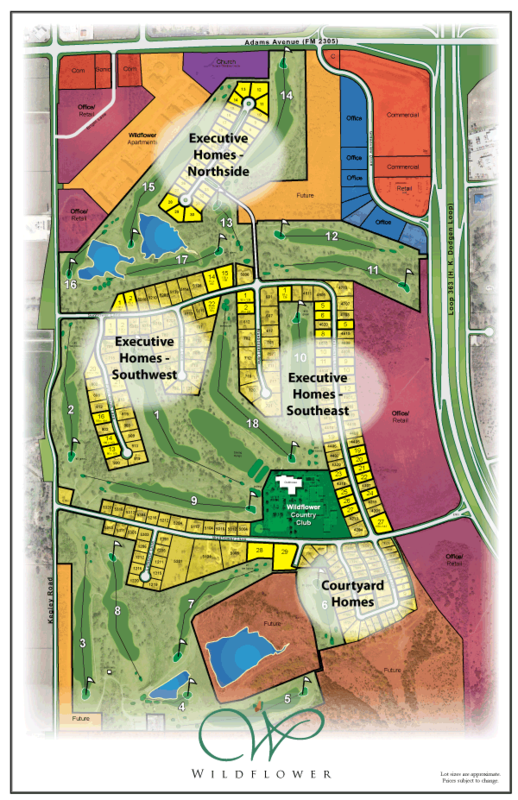 More, you have all the conveniences offered by a premier master-planned community. Welcome Home to Wildflower.